The OSCE Office in Minsk made Lukashenka’s “nice list” last Christmas. As a result, it was given permission to extend its mandate for one more year, until Dec. 31, 2010. However, the mission’s work has to abide by strict conditions. Were the Office to overstep the mandate and engage in “activities that go beyond the agreed parameters, the Belarusian side reserves the right to terminate the activities of the OSCE Office in Minsk” any time, as the Belarusian Ministry of Foreign Affairs warned. The meaning of this decision – or rather its meaninglessness– is somewhat similar to that of the EU decision in December 2009 to extend sanctions while suspending their application. The OSCE mission is extended, but its actions are so restricted that its presence in Minsk makes little difference. The only difference is that – with or without the sanctions – the EU hardly has a say in Belarusian politics while the Belarusian authorities will continue to effectively dictate the OSCE what to do for years to come. The decision to extend the mission was made at the session of the OSCE Permanent Council in Vienna on Dec. 30, 2009. The Belarusian Foreign Ministry applauded the Office for cooperating with the Belarusian side in 2009. This is not surprising for there must be reasons why the Belarusian opposition and several OSCE member states complained over the actions and statements of the former head of the OSCE office, Hans Jochen Schmidt. Their complains led to Schmidt’s early termination (his term was supposed to expire in February 2010) and appointment of German diplomat Benedikt Haller as his successor. 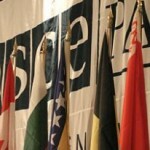 The OSCE Office in Minsk was established on 30 December 2002 following OSCE Permanent Council Decision No 526. Its objectives have been to work with the Belarusian government on the issues of institution building, consolidating the rule of law, developing relations with civil society, fostering economic and environmental activities. The Foreign Ministry said there were “no objective reasons today for the presence of the OSCE Office in Belarus.” Either the office has been so successful in achieving its objectives that there is nothing else to contribute, or the Belarusian government prefers that these objectives never be achieved. The main aim of a visa regime is to regulate migration flow and to prevent eventual illegal immigrants from entering the country. What kind of illegal immigrants could come to Belarus from the EU or the USA? How is Belarus going to become one of the world’s top 30 economies by easiness of doing business, which the government has declared as its goal, if it has one of the most expensive visas in the world? The solution should definitely be to ease the visa regime or even its de-facto cancellation, as it has been done in Ukraine and Georgia. The explanation for this Soviet-styled decision, however, seems simple: the West is still seen by the Belarusian government as a potential threat and a potential source of danger for the regime. In the past, visa issues have been used as a tool to force several Polish Catholic priests from Belarus. Along with Polish priests, who have presumably been promoting Polish nationalism instead of doing their primary spiritual work, foreign journalists, human rights activists and observers can easily be forced away from the isolated country in the middle of Europe. However, if investment attraction is priority for Belarus, the visa regime for the EU and the US should definitely be liberalized. Besides, the EU itself could initiate this by lowering the Schengen visa price for Belarusians from the current EUR 60. Starting 2010 the price for a Belarusian visa has risen to 180 euros for the citizens of the EU. First of all this concerns those who receive visas at the airport upon arrival to Belarus, the consular department of Belarusian Foreign Ministry told. The cost increase for Belarusian visas is due to new amendments to the Tax Code of the Republic of Belarus. As explained in the Consular Section of the Minsk National Airport, potential tourists from the European Union, who wanted to come to Belarus, could previously have received a single journey short-term visa for USD 60. The new visa price is EUR 180. Long-term visas for citizens of the EU and the United States cost more than EUR 200. 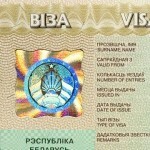 Since the New Year the Belarus authorities charge for visas in Euros, not US dollars. Another change was introduction of three types of visas: transit, short-term and long-term. There is no separation between tourist and business visas, the Belarusian edition of RFE/RL reported. “They have a choice, either to get the visa at an embassy of Belarus in their country for EUR 60 or at the airport for EUR 180,” – representatives of the consular department of Belarusian Foreign Ministry said. In the consular at the airport “Minsk-2″ noticed that foreign nationals are paid and the new tariffs. “Nobody yet refused”, – reported at the airport. Tourism agencies say that foreigners are beginning to refuse to travel to Belarus because Belarusian visas are among the most expensive visas in the world.